Autumn is well and truly here! 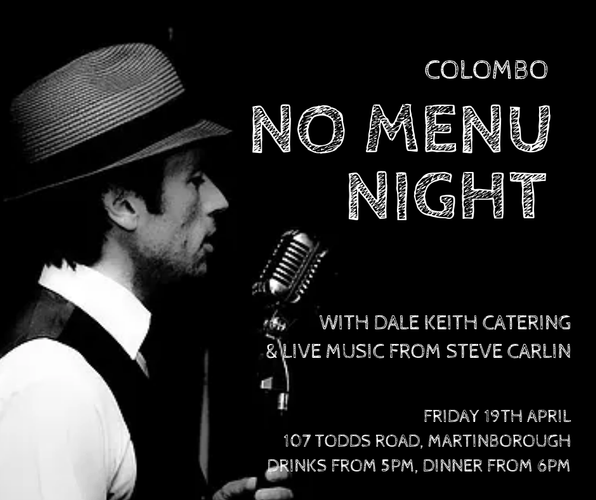 The weather may be cooling down, but things are warming up here at Colombo as we look forward to an evening of wine, food and super-smooth hits from the swing era with Mr Steve Carlin! Steve has emerged as one of the most exciting crooners in New Zealand, with a rich baritone voice that captures the essence of the vocalists of a time now past. Let Steve entertain you with all those wonderful songs, from Mack the Knife to That's Amore... New York, New York... and more! Drinks from 5pm, dinner served from 6pm. (Note: cellar door will be open from 5pm on Good Friday).